So if everything goes according to plan, the Yankees will go into the 2010 season without Matt Holliday on the roster. To most, it’s a upsetting situation. In New York, we are used to the seeing the big time players, every time we see the chance. But, if you take a look at a move that seems somewhat puzzling, you will see that the decision to hold off on Holliday, is in fact a genius move. The Yankees won 103 games last year, beating out the Red Sox by eight games in the standings. Assume that Yankees lost five more games throughout the season. Still they would have won the division. So the Yankees won games that were unnecessary. In other words, their team was better than it needed to be. So adding Holliday would seem somewhat overkill right? Yes. But then again, this isn’t the same team. The Yankees had nine players with over 10 home runs last year. This year, three of those nine guys will be gone. So the question becomes: Do the Yankees have enough to win repeat? Once again, yes. If you take away Wang — who lost the Yankees a good three or four games — assume A-Rod will be here for a full season, add Chamberlain to the bullpen, add Vazquez to the rotation, add Granderson to the mix, and add Johnson as your DH, the Yankees seem to be just as talented as last year. But why is this a genius move? 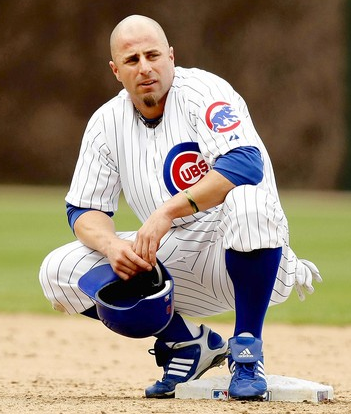 It would seem that adding Holliday couldn’t be a bad thing right? Wrong. Holliday was seeking a long term, big money deal. Sure, the Yankees could have afforded it. But, as we have already established, it would have been unnecessary money to spend. Instead, the Yankees now have that money saved up for a deal they may need to make in the future. Right now, the Yankees have plenty. In five years, they may not. In five years, this may seem like one of the best moves in Yankee history. The Buzz: One last Holliday wish? The defending champs had no secrets when moving into the off season, there were certainly some holes to fill. The additions of Granderson, Johnson and Vazquez, along with the resigning of Pettitte, take care of most of those holes. But, there’s one hole still not filled; left field. Yankees GM, Brian Cashman, has been quoted many times saying that a big time signing in left field would be “innaproripte.” But, as Brian Hoch writes for Yankees.com, that is no clear indication for what is to come. Remember in 2004 when Cashman insited that Bubba Crosby would be the everday center fielder, and then went off and signed Johnny Damon? How about last year when Nick Swisher was said to be the next Yankee first baseman, and then Teixeira swooped in with a long term signing? This year is no different, and a big deal for a left fielder may be in the near future. There have been multiple reports about the Yankees interest in outfielders such as Jason Bay and Jermaine Dye. But their ages and lack of fielding abilities will most definitely keep them out of New York. So, that leaves Matt Holliday, who’s young age and fielding ability would seem to fit perfectley into New Yorks mold. The conistent quotes and reports would make a big deal for Holliday seem impossible. But, something in the pit of my stomach just gives me the feeling that Brett Gardner is not going to be the everyday left fielder for the Yankees. Yes, they had him as the everyday center fielder last year, but Melky was right there to back him up. That is not the case this year. Holliday got a huge deal from the Cardinals that he hasn’t accepted. That would indicate he is waiting for something else. The Mets are reportadley pursuing Holliday but reports also say he doesn’t want to play in Citi Field. The Red Sox are also a player, but their big deal for Lackey may make them a bit vulnerable. So, the opportunity is there, will the Yankees take it? UPDATE: 7:56 p.m. Bryan Hoch of Yankees.com confirms with me via twitter that he will also be surprised if Gardner is the opening day left fielder. 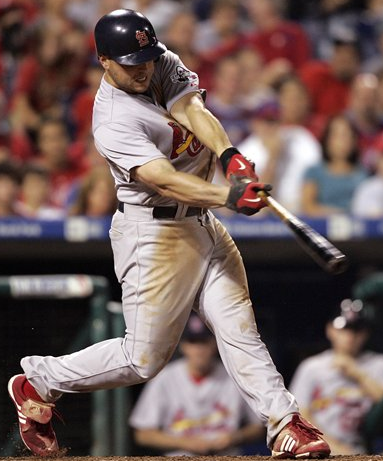 UPDATE 10:03 p.m. Just found out that Holliday said in April of last year that he would like to play in New York. His father also said that he would like his son to play on the east coast. That explains why he hasn’t accepted the Cardinals offer. UPDATE 10:14 p.m. Mark Feinsand of the NY Daily News points out on his blog that the Yankees are unlikely to make a big move considering that their payroll would be way higher than last years, which is something they don’t want to do.